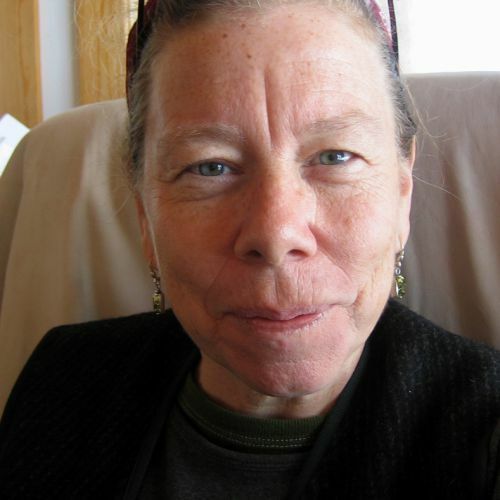 Lynda Barry has worked as a painter, cartoonist, writer, illustrator, playwright, editor, commentator and teacher – and found they are very much alike. She is the inimitable creator behind the syndicated strip Ernie Pook’s Comeek, featuring the incomparable Marlys and Freddy, and the author of One! Hundred! Demons!, The! Greatest! of! Marlys!, Cruddy: An Illustrated Novel, and Naked Ladies! Naked Ladies! Naked Ladies!. Her latest book – What It Is – is based on her workshop “Writing the Unthinkable” currently offered all over the place. Centered on a tried-and-true creative method that is playful, powerful, and accessible to anyone with an inquisitive wish to write or remember, What it Is explores the depths of the inner and outer realms of creation and imagination, where play can be serious, monsters have purpose, and not knowing is an answer unto itself. Born in Wisconsin in 1956, Lynda studied at Evergreen State College, where she became good friends with Simpsons creator Matt Groening. Her work has been widely praised, and her book The Good Times are Killing Me – also adapted as an off-Broadway musical – won the Washington State Governor’s Award.